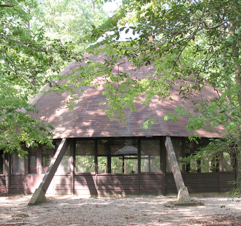 Why Support the Restoration of Lamb Lodge ‘Tepee’ at Girl Scout’s Camp Woodlands? 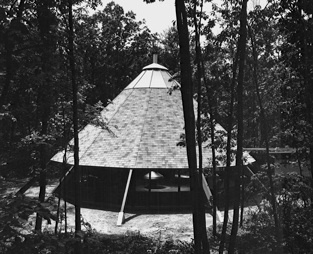 •It is an innovative architectural landmark that has been recognized for inclusion in the National Registry of Historic Places and will be the only Scout Lodge with this designation in the country. 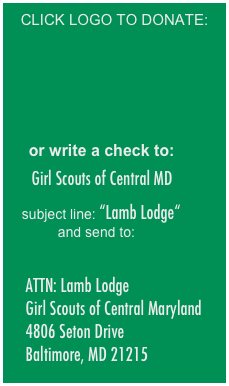 • After 58 years of happy campers, the Girls Scouts and Charles Lamb need your help to renovate and restore Lamb Lodge so it may serve the many youth who will frequent it in years to come. Lamb Lodge in 2011 and this number increases each year. 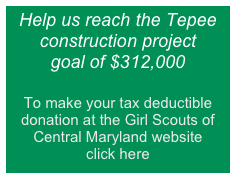 • Camp Woodlands is the most utilized Scout Camp in Central Maryland. 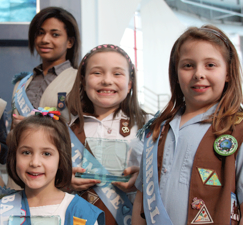 • In addition to Girl Scout Troops, the Lamb Lodge is home to many partnering educational youth groups: Arlington Echo - Anne Arundel County Schools’ Outdoor Education Program for K-12, Annapolis Junior Rowing, and YWCA summer day camps.